Did you know there are many-many-many things you can do with your hands? You can punch someone in the face with them, for instance. And you can also pick up the following movie with them, too. Yeah. You know. That 90 minute one made in 1976, Directed by John Woo; and Starring: Tao-liang Tan, Jackie Chan, Sammo Hung, James Tien, with Yien Biao. Thank you very much for escorting me to that rustic Chinese province, Tan Feng (Jackie Chan). Without your noted assistance, I don't think I would ever have been able to track down the warlord, Shih Shao-Feng (James Tien). But, if you don't mind me for asking, I still need some more help when you can find the time to spare. Well, one the main reasons I'm looking for Shih, is so I can kill him and then free my people's Scholar (John Woo) from his villainous clutches. The problem with this, though, is that everywhere I turn, everyone keeps on wanting to kick the living sh*t out of me. Like Shih's main officer, Tu Ching (Sammo Hung), for example. Plus that other one-eyed chap I saw loitering around in the local Tavern. Yeah! That's him, Tan. I'm talking about that Swordsman (Wei Yang) fella. Who I suspect also want's to get his own back against Shih for killing some lady in a flash-back sequence. Huh? What's that, my helpful friend? You will aide me in my quest! Why bless your bulbous nose you mop haired buffoon. Yet again, that's most probably why what next transpires all kicks off when I'm suddenly approached by a rebel, who says, 'Yun Fei (Tao-liang Tan), would you like some help from me as well?'. As a Swordsman eventually makes it a trio - two Monks should never drive a Renault Clio - a Scholar has something pertinent to say - and at the end of the day, a bad-man wants to come out and play-play-play. 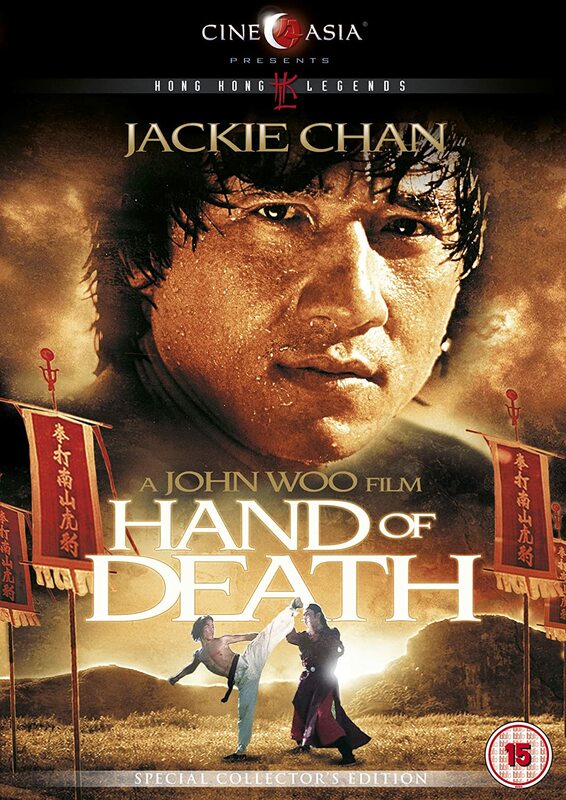 Before I commence my review on 'Hand of Death', I best mention that it's not a Jackie Chan film, a Sammo Hung film, or a Yuen Biao film, either. Instead, it's a period martial arts movie for those of you who like your dubbing dodgy, your wigs fake, and your story and action scenes stoic and long-winded. OK. I know this may not sound like everybody’s cup of tea. But personally speaking, I didn't mind watching this film at all -- as it told a tale, bust a move, and then left you feeling somewhat satisfied inside with it's end result. Well, what you have to take into consideration, dear reader, is that during this period of Hong Kong cinema history, the ‘powers that be’ were still finding there feet composing fighting sequences on screen. Granted, Bruce Lee had come and gone by this point in time. However, in his wake a new form of action movie was devised. One taken up by the likes of Jackie, Sammo, and company -- plus illustrated right here. Now from my point of view they did a pretty good job at clearly illustrating close, long, and multiple battles. Admittedly, not everything was up to par -- as a select few of the camera moves were clearly out of focus, some of the fights were long and drawn out, and in one multiple combat scene I could tell that one of the people involved was ‘waiting’ to be hit. But having said that, though, by in large ‘fight wise’ most things were very-very cleanly executed. As for the story and the acting on the other hand, well, I would have to say this was roughly on a similar level than the fighting. The tension was always stoic and proud. The action was always bold and staged. Plus the melodrama was set upon a basic premise but executed in an elaborate and long-winded fashion. Just try to think of it as a spaghetti western, except with punches and kicks instead of guns and horses. Also, most of the main players in this tale -- mainly Tao, James, and Wei -- were quite captivating to watch, plus some of the more subservient roles too -- like Jackie and Sammo. Generally speaking, I suppose this was all down to them making you believe the bad guys were going to win at the end of the movie, without anyone twigging on that... err... no. Wait a minute! I don't want to give too much away, folks. So I tell you what. Lets jump track for a moment by checking out the following filmic facts. (1) 'Golden Harvest' first released this production in Hong Kong on the exact same day 26 school children -- plus their driver -- were kidnapped for 36 hours in California. It was on the 15th of July, 1976. (2) Loosely translated, this project was entitled 'Heroes of Shaolin' in Portugal; 'Dragon Forever' in Germany; and originally it was called 'Shaolin Door' in Hong Kong. (3) Despite being accredited under the name, John Y. Woo, this was the first time John Woo directed a whole feature-length film. (4) At one point during the production, Jackie Chan accidentally knocked himself out whilst performing a stunt. (5) Quite a bit of this movie was shot on location throughout numerous parts of Hong Kong, China, and Korea. (6) Another first for this film, was that this was the first time Jackie Chan, Sammo Hung, and Yuen Biao -- also known as "the three brothers" -- appeared in front of a film camera together. (7) As well as appearing in this adventure, Sammo also acted as a stunt co-ordinator, whilst Yuen performed much of the stunts. (8) After this movie took its final bow, James Tien starred in 'Shaolin Iron Finger', Tao-liang Tan starred in 'Young Hero of Shaolin'; and Wei Yang starred in 'Tiger of Northland'. 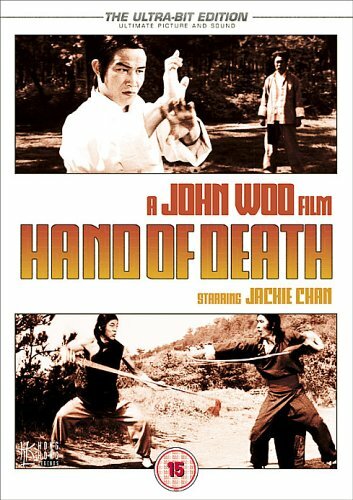 Overall I'd say 'Hand of Death' is a great period martial arts film to sit down and watch. Although it's not a Jackie, a Sammo or a Biao film (heck, you can hardly see Biao in it). What it is, is a must see film for anyone who would love to see ‘the brothers’ in there younger days, or a stepping tone for Hong-Kong action cinema.